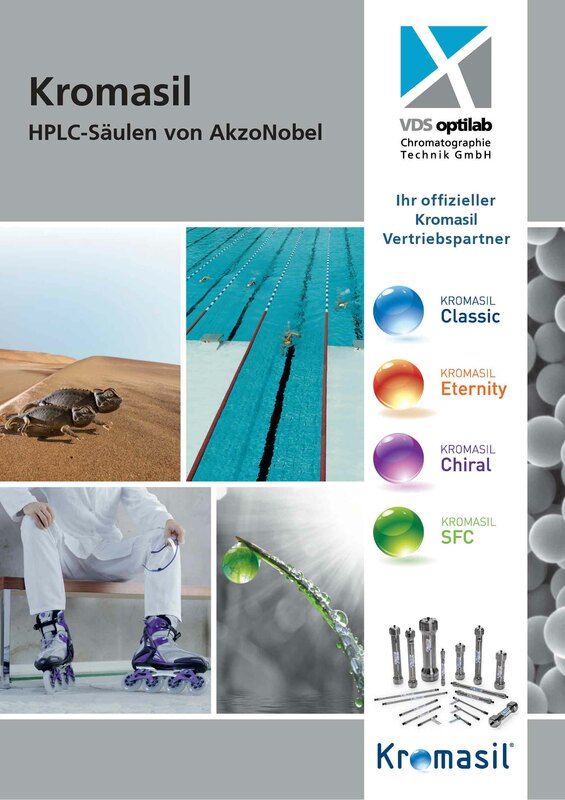 VDS optilab: Your sales and service partner for Kromasil® HPLC columns in Germany! Under the brand name Kromasil, Nouryon offers high-performance, spherical silica gels in a wide range of particle sizes and modifications, which can be used for analytical HPLC, UHPLC and SFC as well as separations up to the production scale. Kromasil silica gels are characterized by excellent chemical and mechanical stability, reliability and reproducibility. You can find out more about these product lines on the corresponding pages. For more information on Kromasil HPLC columns, contact VDS optilab, your official sales partner for Kromasil HPLC columns in Germany, or visit www.kromasil.com.